There is a “Corner of the Lost Planes” at the HHAMS Aerodrome. This section of the flying field is just a bunch of tall trees, seemingly indistinguishable from other thousand tall trees that surround the aerodrome. It is probably safe to say that almost every member had lost a plane or two to this particular Corner of the Lost Planes, before they learned, from the sages of the HHAMS, secret incantations that free them from the curse of this corner. New members would innocently fly a plane straight into these trees, for no apparently reason. Others would inexplicably lose orientation, stall or otherwise become bewildered, when flying in this corner of the field, when they manage perfectly well to fly advance maneuvers elsewhere at the field. And I am no exception myself. I’ve brushed my Apprentice S 15e against the canopy in this corner, on at least two occasions during my first few training sessions. 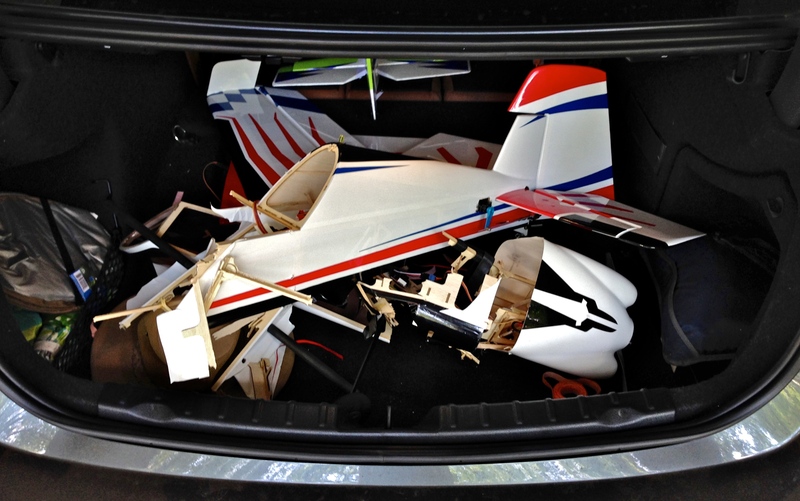 And I’ve lost an aerobatic plane to the trees even after I thought I mastered the art of basic flying. Besides losing planes, I count countless number of times when I temporarily lose orientation when flying in this corner. But I think there are good reasons why folks tend to lose planes at this particular corner. Here are my reflections on my own experiences with this “Bermuda Triangle” of our field. This Google Satellite image illustrates the shape of the Aerodrome. The pilot stands at the blue rectangle, facing the runway. The Corner of the Lost Planes is marked in yellow. The picture is oriented with the north on the right, with “the corner” situated to the south of the pilot. Since the prevailing wind at this field blows southward, most of the times the pilot takes off from the runway due North (right side of the pilot), and approaches for landing from the South (left side of the pilot). Having examined the basic layout of the field, we can now investigate various ways planes are lost to this corner, and try to explain why these incidents happen. The most common flight pattern used at the aerodrome is a counterclockwise oval. More often than not pilots fly well above the tree skyline. In addition, it is more rewarding to zoom around at high speed from left to right, and back, instead of flying straight away and back at 12 o’clock from where the pilot stands. Note that the oval is not always centered exactly in front of the pilot. In most flights the plane stays longer on the left side or the oval, and flies further out South than it does North. Many people inexplicably find it “easier” to fly their planes in this corner. Some may feel that their planes “want” to stay in this corner. These are illusions. The wind helps the plane on its southbound leg and fight it on its northbound leg. The geometry of the field and the wind conspire to move planes to this corner. Pilots would find, on a typical day, that it is easy to fly a plane into this corner, but harder to steer it out, back North. If a pilot does not recognize this fact, his plane would tend to linger over the canopy on the south side of the field, far away and barely visible. This may not seem like a big deal. And it isn’t… until one needs to recover from dumb thumbs. Consider the fact that these trees are taller than 60 feet, and that most pilots don’t always fly at 3-mistakes high. If one flies over these trees, and needs to recover from mistakes, one does not have the usual ground clearance to execute recoveries. One has only the distance between the plane and the canopy. And that is usually around 20 feet – completely insufficient when trying to recover from, for instance, a loss of orientation. 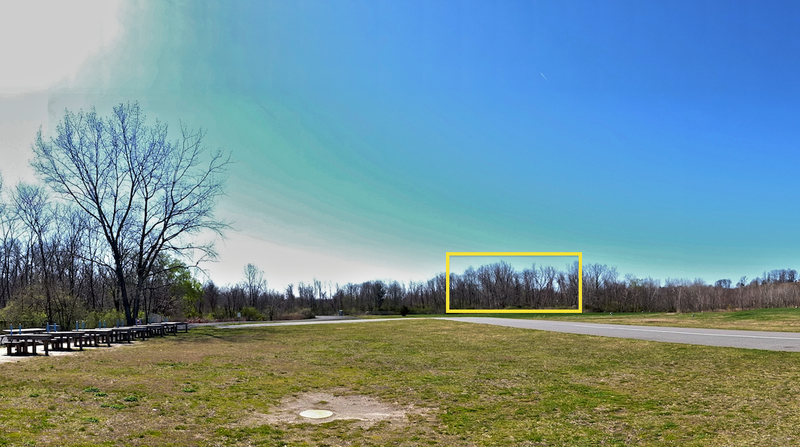 Imagine flying your plane at 20 feet above ground, two runway-length away where you can hardly see your plane – that is what you are doing when surfing treetops in this corner. How to retain the ability to recover from mistakes at all times: well, avoid flying in this corner skimming the treetop, and instead make more use of the north side of the field. Sometimes, one flies below the tree skyline within the confines of the trees, above the grass, especially when flying 3D or small planes. From where the pilot stands on the ground, the tree skyline looks like a flat expanse stretching from the far left to the far right, in “one straight line”. 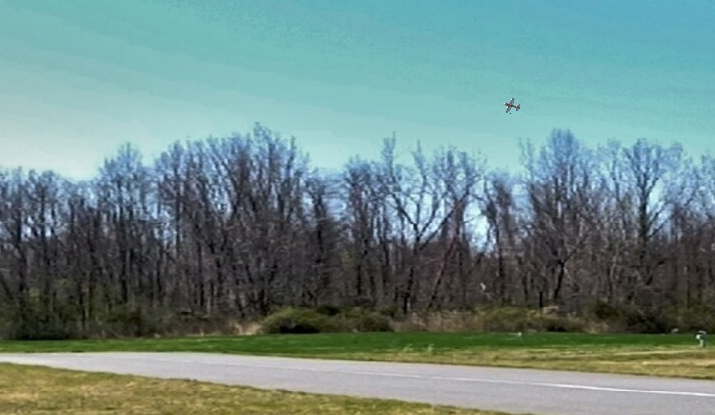 It seems to the pilot that they could just fly their plane in a straight line from the far left to the far right, and back, in front of the trees. 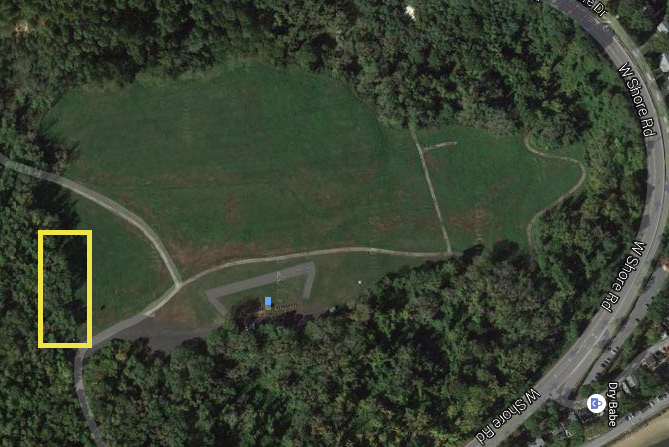 But the following satellite view reveals the perception of a straight line of trees to be an illusion. The tree skyline encompasses three separate sides of the field – the left side, the top side, and the sloped right side. In most cases, pilots do not fully utilize the grass field to the far right. And in many cases they fly dangerously close to “the corner”, unaware of the impending collision. It is usually during their first expedition to extradite a plane from tree branches in this thorn-infested corner of the wilderness, that new pilots realize how almost every plane flies right above their heads, as it banks and turns to fly back north. On every “expedition” to this wilderness, I would always see planes fly very close to the trees, barely above the canopy. This illusion of a straight tree skyline is usually not a concern to pilots with very small foamy planes, as these planes don’t usually fly out far enough to hit this corner – they would have become impossible to see well before they reach the corner. The corner does poses severe problems for folks flying relatively big planes, as these big planes appear closer than they really are, and the corner of the lost planes is only one runway-length away from the south end of the runway. Compare this to the ample space available to the north end of the runway for above-grass flying. How to avoid ramming your plane against the corner: do not perform any maneuvers that would make the plane look like it is flying “in front” of the corner of the lost planes, as seen from the pilot station. Always fly above the canopy when passing this corner. As mentioned earlier, pilots usually approach the runway for landing from the south, flying into the wind. The trajectory of a plane as it banks and turns into this approach unfortunately intersects with the corner of the lost planes, for medium to large airplanes. Many pilots carefully plot a curve of approach “in front” of the Corner of the Lost Planes, only to find their planes with a wanton affinity to intercept a tree or two unexpectedly as they descend. 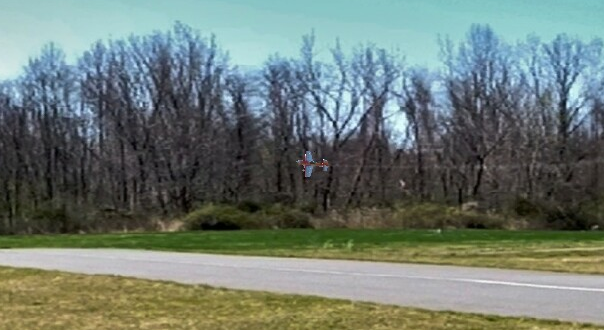 Is this plane turning in front of or behind the trees? In theory, a pilot could steer clear of the canopy by flying high over the corner, and only start to bleed off altitude after passing the corner. But bleeding off altitude this late in the approach is not a trivial exercise. For planes that don’t “float” well, either one risks a hot landing by nosing down and gaining speed, or one risks tip stalls by greatly or completely cutting the throttle to let the plane drop as it sheds speed. If one starts this descent from afar, in an attempt to ease the drop, one again risks stalling, since it is incredibly hard to assess a plane’s speed as the plane flies straight towards the pilot. This lack of speed reading can be mitigated by carefully watching the rate of descent, and by pulsing the throttle as needed to correct for faster-than-expected rate of descent. Most people who line up for landing from afar use the outhouse as a landmark for their landing turn. If you make the turn over the outhouse you cannot possibly run into any trees, and you’ll be perfectly lined up for the approach as you fly from the outhouse towards the runway. 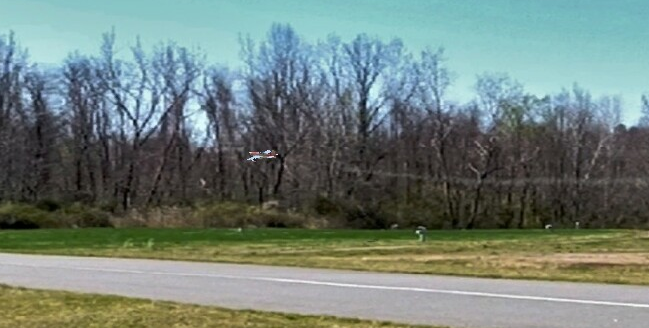 Some pilots choose instead to make a sharp turn at low altitude very close to the runway for landing, where they know their planes are far from the trees. The advantage of this approach is that the plane never flies straight towards the pilot for extended period of time, thus the pilot has better reading of the plane’s speed at all times. The downside is that it takes skills to manage the speed, the orientation and angle of attack for proper landing in the very short amount of time available after the sharp turn. As a result, I have seen numerous and personally experienced stalls during this maneuver, as pilots over-reduced airspeed in anticipation of the sharp turn and the short distance for alignment to the runway. 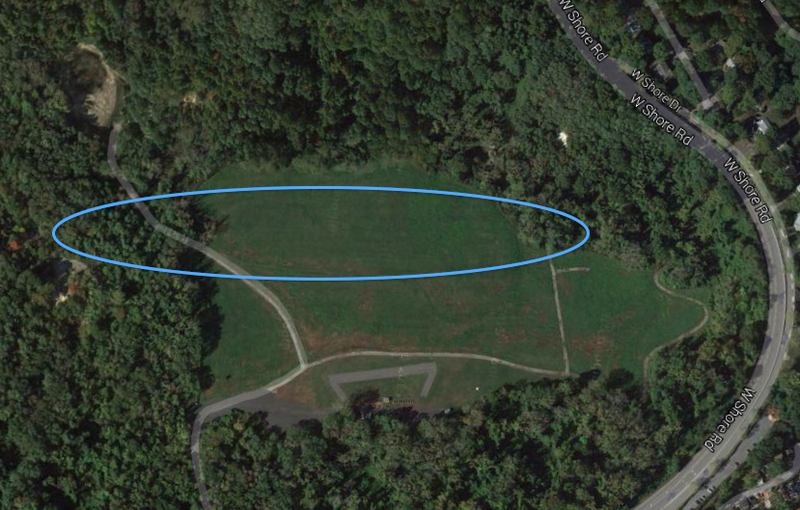 How to avoid hitting a tree in the corner while making a landing turn: there isn’t one single best way. Each pilot eventually finds his own routine that works for his particular plane and his own flying habit. In time, most people also learn to accurately assess their plane’s distance from the corner and from the runway, allowing them make landing turns in front of the corner without fear. The sun moves from the southeast to the southwest. 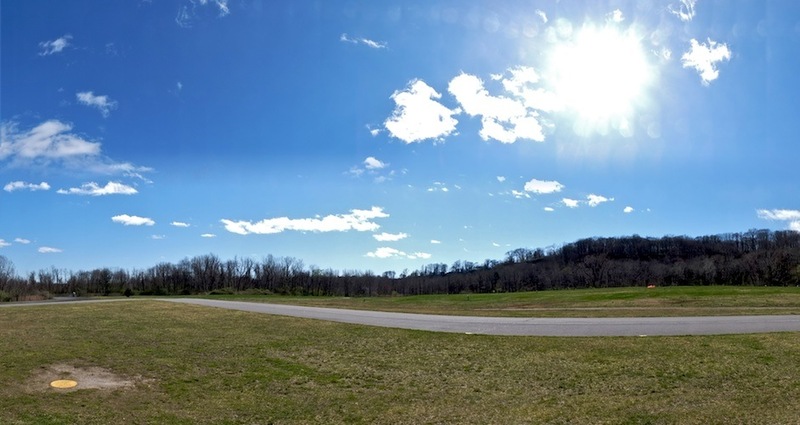 At this field, a pilot is staring at the sun or the bright sky surrounding it, when looking to the left of the runway. This poses two problems for pilots as they maneuver their planes through the Corner of the Lost Planes. One is temporary blindness. And the other one is disorientation caused by the silhouetted nature of the plane as it flies in front of or near the sun. It takes seconds for a pilot to recover after being temporarily blinded by the sun. This is often enough time to cause a plane to crash even when it is flying at a safe altitude. This is especially true, if the pilot does not remain calm and instead fiddles with the sticks while unable to visually assess the plane’s orientation. Add to this the fact that the plane is a mere 20 feet or so above the canopy in the Corner of the Lost Planes, and one has a perfect recipe for disaster. 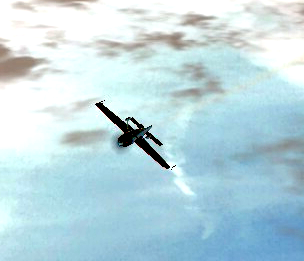 Even if a pilot carefully avoid staring into the sun as the plane flies past it, the bright background lighting still causes visual difficulties for the pilot. A plane in the sky against the sun in the Corner of the Lost Planes looks like a two-dimensional shadow, making it difficult for the pilot to assess whether a plane is flying away or towards, cruising upside down or right side up, banking left or right, etc. The pilot need only lose concentration for a second during a maneuver, or bump a control stick unwittingly and/or excessively, to put himself in a position where he can no longer tell where the plane is heading, and what happens if he pulls the nose up. Away or back? Upside down or not? Nose up to turn away or back? How to avoid disorientation by the sun: first, know where the sun is, and avert your eyes accordingly. Try not to fly your plane close to the sun, and definitely not in front. While cruising through this visually-incapacitating region of the lost planes, keep you eye on the plane at all times, to maintain and update in your mind an accurate account of the plane’s orientation and roll. That is, even though the black shadow that is your plane may look to be banking to the right and flying away from you, from your (orientation equivalent of) dead reckoning you know it really is banking to the left and flying towards you. And, it goes without saying, that you shouldn’t make sudden and excessive stick movements while in this corner. 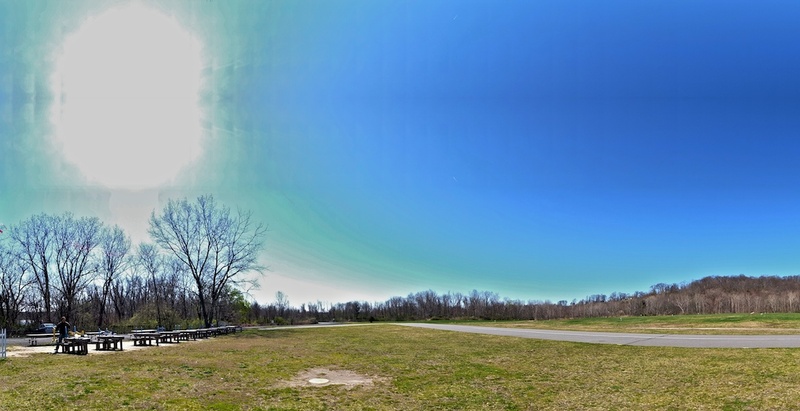 If you want to experience the effects of the prevailing wind at the field as documented here, head to Custom RealFlight Airfields based on the HHAMS Aerodrome where you can download a model of the Aerodrome at 10am or 3pm, with built-in wind and sun simulation. In the future there will be one at 12pm to complete your training. 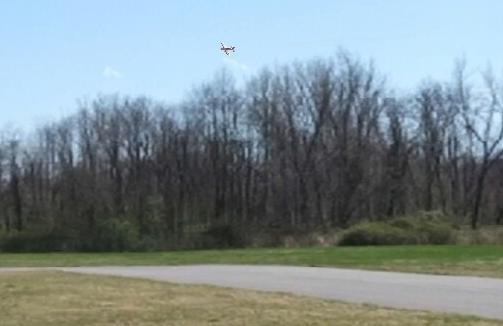 If you have Phoenix RC instead of RealFlight, check out Custom Phoenix RC Flying Site. But you’ll have to enable wind conditions yourself in Phoenix RC. Fly responsibly. And try not to make garbage. This entry was posted in Fun, HHAMS and tagged Corner of the Lost Planes, Disorientation, Hempstead Harbor Aero Modelers Society, HHAMS, HHAMS Aerodrome, Port Washington, Practice Makes Garbage, Sun, Wind. Bookmark the permalink.